To enter to compete - $5 entry fee per category. Allows free admission for you and three other helpers. A company may enter multiple categories. There will be a $50 penalty fee for entrants who do not show up as there's limited space. Competitors will have 30 minutes to set up. Arrive at 6:30pm. Each competitor will receive a serving area and under-the-table space for storage. Each competitor will be provided signage for their station by The LAB, and must submit company name and beverage(s) entered for this signage. Competitors may bring table coverage, and a reasonable amount of additional promotional material - companies utilizing excessive advertising at their table will be asked to scale back, as this event should be fun, comfortable and community focused. Competitors must bring all of their own brewing materials, sample cups, and any additional gear required for their set-up. Serving sizes should be around 2-4 oz. per sample pour. Attendees will have voter ballots and will be encouraged to vote. Competitors can explain their drink(s) quickly and answer any questions, but no need for a performance, display scores, or timed presentations. Attendees will vote for their favorite in each category, and a winner be selected at the end of the event. Winners will each receive 20% of the night's admission and entry revenue. Attendee ballots will be simplified to a single entry choice per category. You may enter up to multiple categories, and you may select all categories you are entering at once before checking out. Each business may only enter each category once. *IMPORTANT NOTE* - You must provide your name and the name of the business you are representing in the "Notes" section at check out to complete your registration. This secures your entry into the Cold Coffee Celebration "Cold Brew" category. You may enter and serve any type of cold brew (coffee & water served flat, bottled or canned and can be on nitro). No ingredients outside water and coffee. 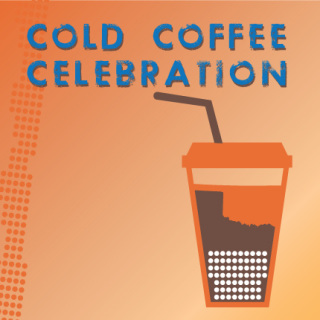 This secures your entry into the Cold Coffee Celebration "Signature Cold Drink" category. You may enter and serve any type of signature cold drink (cold brew coffee with other non-alcoholic ingredients infused and/or used). This secures your entry into the Cold Coffee Celebration "Coffee Beer" category. You may enter and serve your coffee beer (coffee, beer and any other ingredients infused and/or used). Open to home brewers. You'll receive a confirmation email within 24 hours of your registration. Questions? Email jason@lab5702.com.